I usually do my cookbook project on the weekend but I won't be able to this week so I decided to do an easy one last night. The recipes I've made so far from the Herbfarm Cookbook have taken several hours to make. Luckily I found this simple recipe in the Vegetables section. I also noticed a lot of yummy looking potato recipes in this section so I might have to do one of those too. 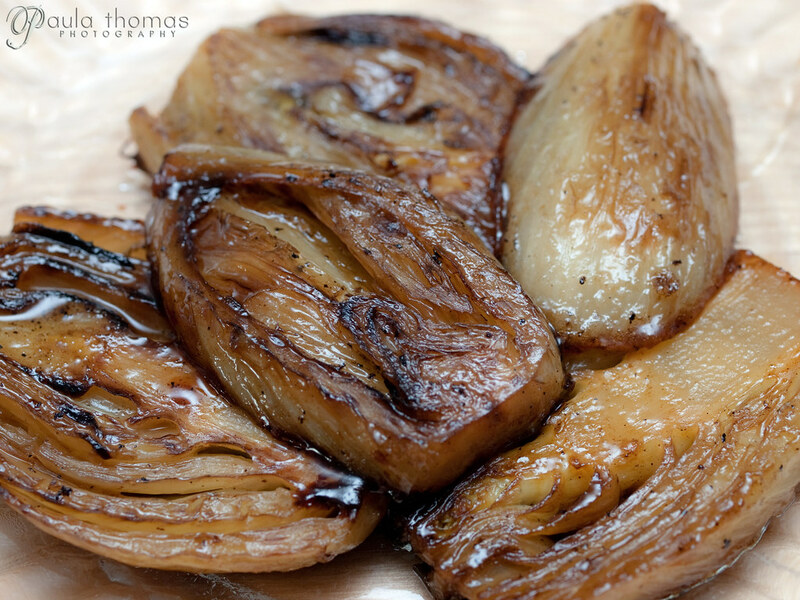 I had already had a fennel bulb that I bought for the soufflé sauce I made earlier. 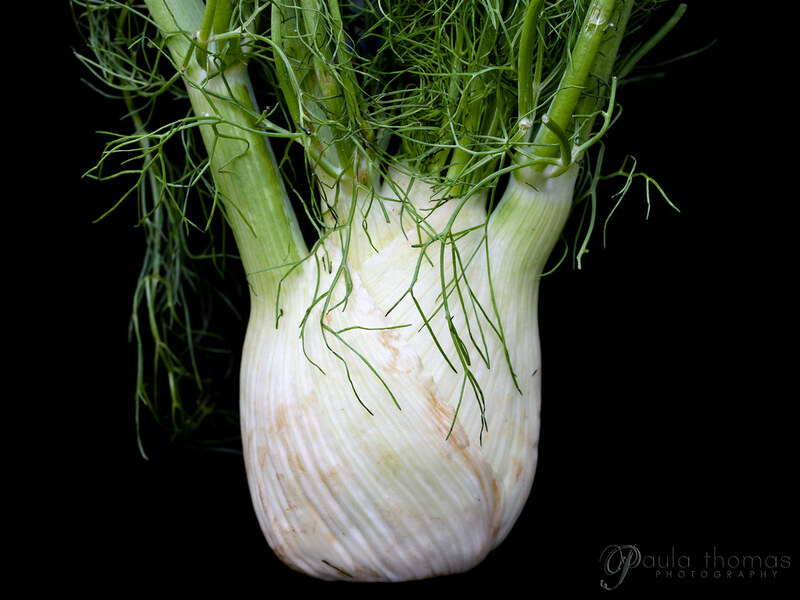 I never used fennel before and didn't realize you could eat the bulb too so was happy to find this recipe to give me something to do with it. 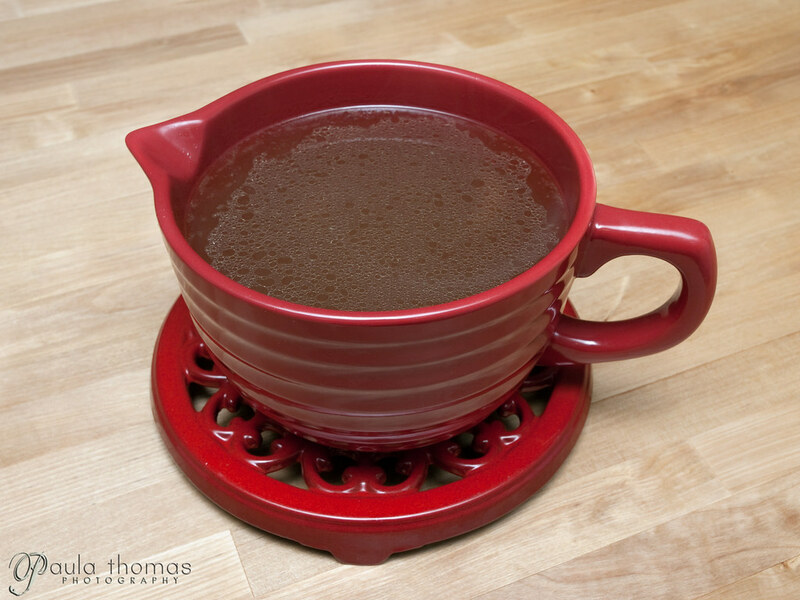 It also gave me a chance to use some of the chicken stock I made several weeks ago and never blogged about. 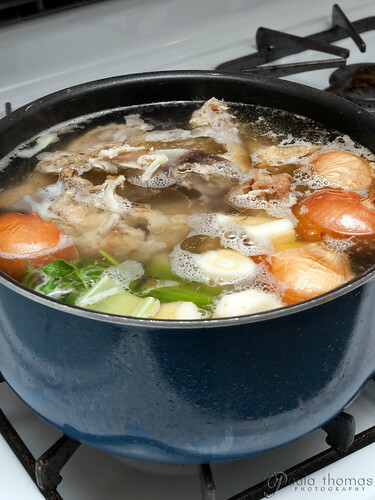 I loosely followed the recipe for chicken stock in the Herbfarm cookbook. I did use a few herbs and vegetables that weren't in the recipe that I had on hand and also left out a few that were in the recipe since I didn't have them. I had bought a roasted chicken some time ago and figured I'd save the bones to make some chicken stock. I didn't want to make it right away so I put the bones in a zip lock bag and froze them until I was ready. I tied the herbs with a string to keep them all together to make it easier to strain later. I just used whatever herbs I could find in my garden and in the fridge that I had leftover from other recipes. 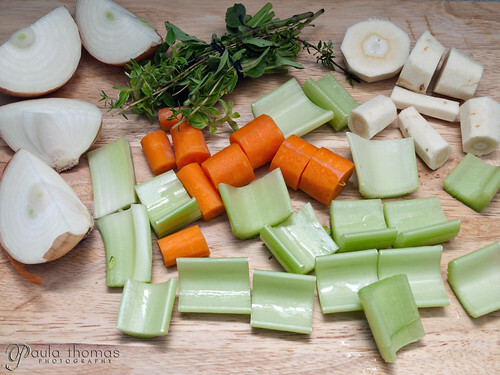 I used thyme, rosemary, bay, and parsley stems for herbs and carrots, parsnip, onion, and celery for veggies. It was very easy and so much better than the store bought stuff. I hadn't used any of it until I made this recipe but put it all in the freezer to use when needed. So, for the fennel bulbs I sliced the bulbs, browned em in butter, added some water, stock and pernod (an anise flavored liquor) and let it reduce down to nothing and that's it. 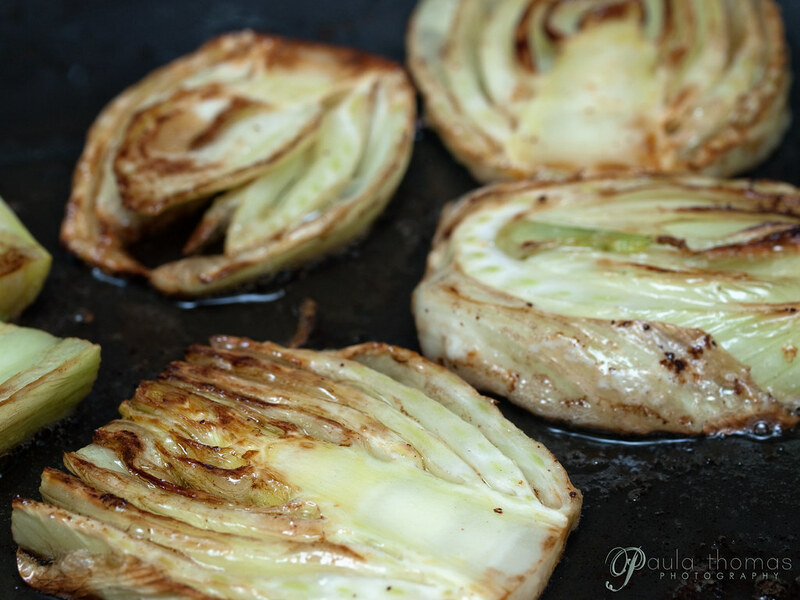 If I ever get fennel again will definitely use this recipe again.